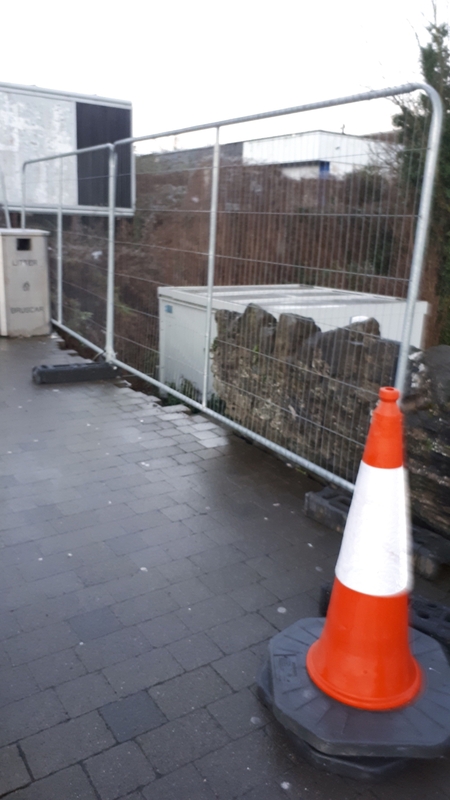 A COUNCILLOR has said it was lucky that children were not in the area when the foundations of an old stone wall collapsed in the outskirts of Limerick city. On Tuesday afternoon, a large wall close to the outbound bus stop at Punches Cross collapsed, exposing members of the public to a drop of around six foot. A spokesperson for the ESB confirmed that the incident did occur and that members of the ESB Networks quickly put safety measures in place. “ESB Networks can confirm that the foundations of a boundary stone wall at a substation near Punches Cross collapsed. The incident was discovered at 3pm and our crews had put in place a temporary fence by 5pm. Electricity supplies to the area were not affected and ESB Networks are in the process of engaging a contractor to carry out a permanent repair,” the spokesperson told the Limerick Leader. Sinn Fein councillor Malachy McCreesh says the area is often frequented by children because of the nearby bus stop. "As this is a main pavement for pedestrians and bus stop passengers, the freak collapse of the wall could have resulted in injury as many school children gather around this area," he said. "As the wall collapse occurred out of the blue, it was lucky that no-one in the vicinity were injured. The ESB cannot wait any longer to put more safety measures in place and provide a permanent solution. Public safety needs to be the priority,” he added.